Copyright (c) 2005 by Rae Kaiser, Outside the Line. All rights reserved. 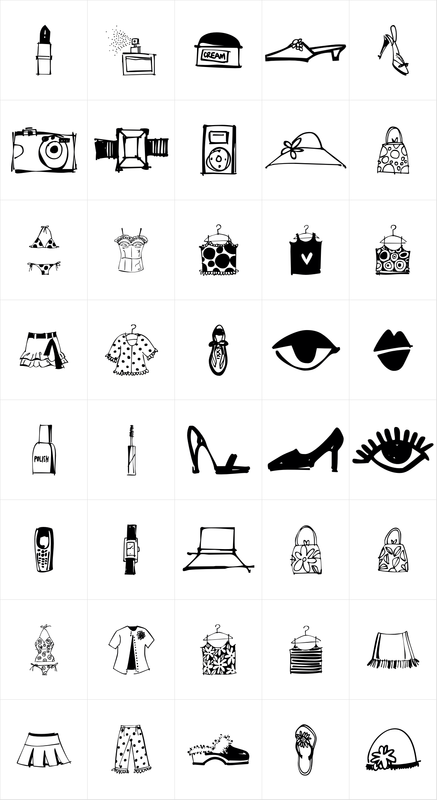 Diva Doodles is a clipart font with 40 pictures of girl things such as lipstick, nail polish, perfume, shoes, hats, jewelry, camera, iPod, purses, shirts, skirts and a pair of p.js. If you love the other Doodles fonts you'll like this one too.